We got the honeymoon suite and the two person jacuzzi was wonderful and also the fireplace and king bed was really comfy and great pillows! Where to find Brooks hotels near an airport? 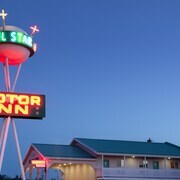 Where can I find hotels in Brooks that are near tourist attractions? 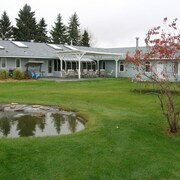 Are you vacationing in Medicine Hat and are after a hotel or apartment in or near Brooks? Within 0.1 kilometres (0.06 miles) of central Brooks you'll find 9 Expedia-listed hotel and apartment options you can choose from. 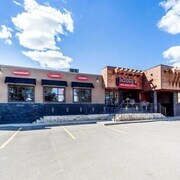 Brooks' downtown area is within strolling distance of hotels including Ramada Brooks and Canalta Brooks. 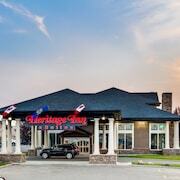 3 kilometres (2 miles) from the center of Brooks, is the Heritage Inn Hotel & Convention Centre Brooks. 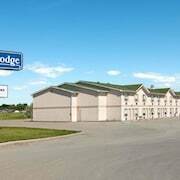 The Travelodge Brooks AB is positioned 4 kilometres (3 miles) away. 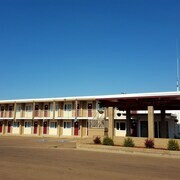 Two other Expedia-listed accommodation options around this area include the Econo Lodge Brooks and the Plains Motel. The greater Southern Alberta region is well worth seeing too. Investigate Southern Alberta's old towns, art museums and nature museums or enjoy its rivers. In this region of Canada tourists may also try their hand at snowboarding and skiing. Before you leave Medicine Hat, make sure you catch a game at Medicine Hat Speedway if you can make the time. 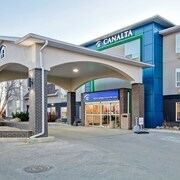 Book a hotel nearby, such as the Hampton Inn & Suites by Hilton Medicine Hat. Medicine Hat Airport is a practical airport, and is located 110 kilometres (65 miles) from Brooks. 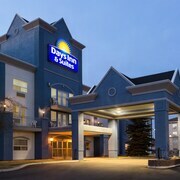 Nearby hotels include Best Western Plus Sun Country and Travelodge Hotel Medicine Hat. What are the most popular Brooks hotels? 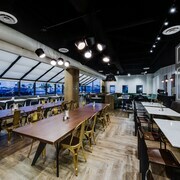 Are there hotels in other cities near Brooks? What other types of accommodations are available in Brooks? Explore Brooks with Expedia.ca’s Travel Guides to find the best flights, cars, holiday packages and more!